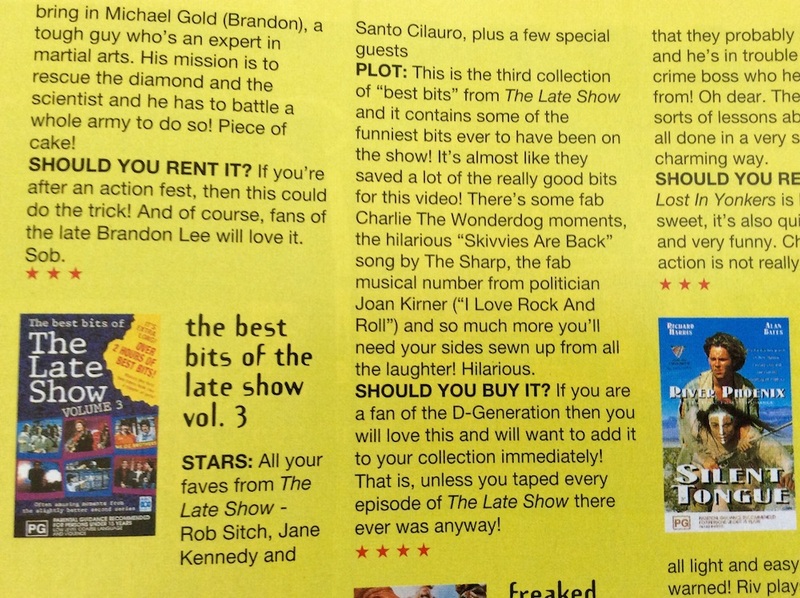 The August 3 1994 issue of Smash Hits magazine is choc-full of retro references including East 17, Lois & Clark, Reality Bites and more, but there’s also this gem: a review of The Late Show Best Bits Vol. 3! On page 12, you can also enter the competition to win a Late Show video. Just call 0055 33452 (hey, wasn’t that Mick’s Love Line?) and answer the question, “What other d-lightful name do The Late Show cast go by?”. A phone call to the Smash Hits prizes page lasts about 40 seconds and is about the same price as buying a stamp. But you can also enter by post if you’re technologically challenged!